Police and security services are said to have upped security for tomorrow’s visit of President Tan of Singapore amidst concerns ISIS may use the visit to launch an attack. The State Visit is the first major event in London since the terror threat level was raised to ‘severe’, meaning an attack is “highly likely”. The Times reports the final review of security will be completed today but extra police are likely to be on duty. 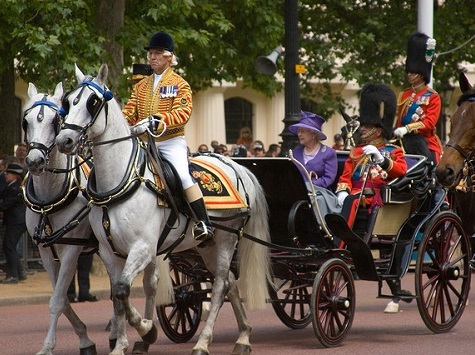 Security services are thought to be worried about the carriage procession of HM The Queen and the President from Horseguards Parade near Downing Street to Buckingham Palace. The route down the Mall is very short, a little over half a mile, but US Secret Service still refused to allow President Obama to take the journey. He was greeted in Buckingham Palace Garden rather than Horseguards, eliminating the need for the carriage ride. Concerns about the visit have grown since five men were arrested for a suspected low tech attack. This follows worries, reported on Breitbart London, that Police Officers may become the victims of an attack similar to that on Lee Rigby. The fusilier left Woolwich Barracks in civilian clothes and unarmed on 22nd May 2013 when he was set upon by two Muslim converts. He was killed in the horrific attack which was intended to leave a him beheaded. 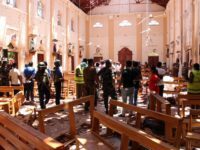 This attack proved supporters of the Islamic State can launch attacks with almost no kit, and very little planning. All that was used in the Rigby case was a household knife. To counter this threat there have been more than 120 terror related arrested in the past four months. President Tan will arrive in London tonight, but not be formally greeted until tomorrow. He is expected to be in the UK until Friday and will address parliamentarians from both houses in the Lords tomorrow. The President will also attend State Banquets at both Buckingham Palace and London Guildhall, as is customary. There is not thought to be any specific risk to the President himself, instead it is police and soldiers that are the likely targets. Using a high profile visit to launch an attack would increase its publicity around the world.